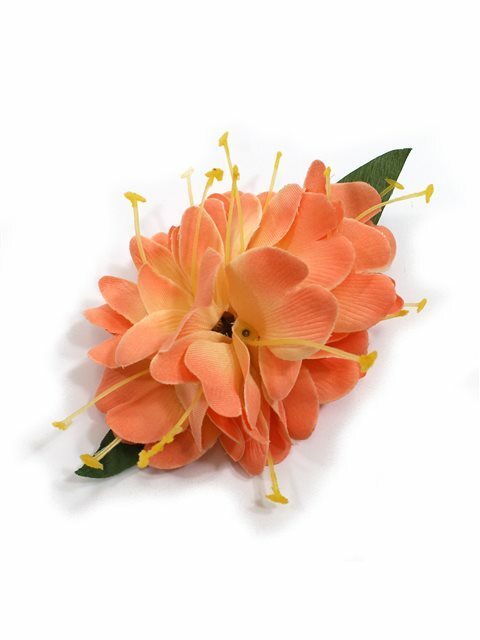 Purchased Item: Peach Kahili Ginger Hair Clip x 3.5"
Beautiful peach color! I liked the longer alligator hair clip. Small size was perfect for my short hair. Matched dress perfectly too. BEAUTIFUL! this was delivered and wrapped so carefully. It is lovely and delicate but it is very sturdy and well made that it’s not going to fall apart. The colors are true to the photo on the website and it looks the same as what I received. I love it.